Jenna’s organizational knowledge, technical skills and ability to be a motivating leader make her a great asset to the Derry Animal Hospital team. Her responsibilities include managing finances, human resources and reception and establishing practice protocols. 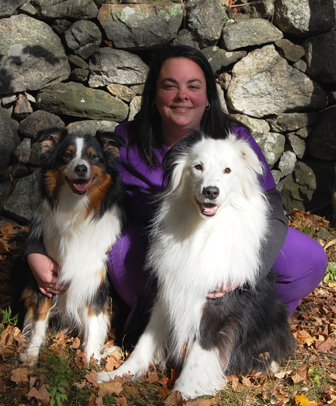 She is also a certified veterinary technician in New Hampshire and a member of the New Hampshire Veterinary Technician Association, the American Animal Hospital Association and the International Veterinary Academy of Pain Management. Jenna started at the hospital back in 2002. Jenna has three Rottweilers: Korben, Drake and Archer. In her spare time, she enjoys Crossfit, Olympic lifting, motorcycles, mountain biking and hiking. 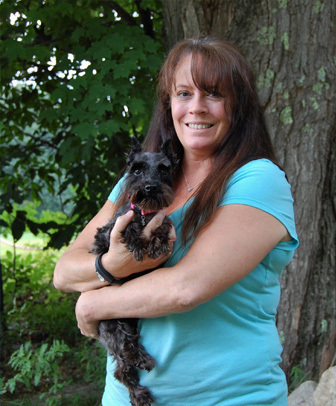 Christina joined Derry Animal Hospital in August 2011, bringing years of experience working as horse trainer, dog trainer, barn manager, veterinary assistant and veterinary technician. Her responsibilities include assisting our veterinarians during examinations, drawing blood, administering vaccines and medication, teaching both group and private training classes, and assisting in surgeries. 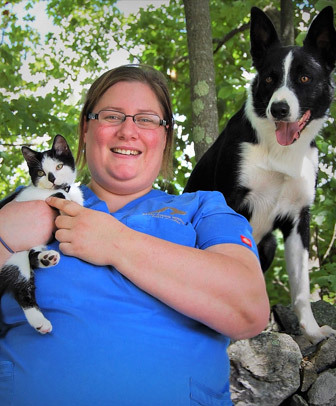 Christina has an Associate’s Degree in Applied Animal Science from the University of New Hampshire and an Associate’s Degree in Veterinary Technology from Great Bay College. 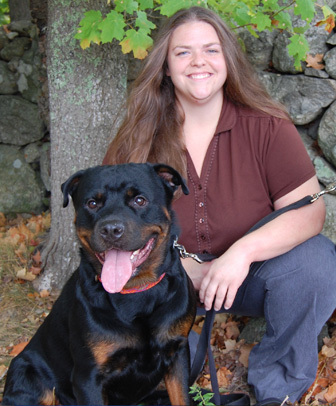 She is a certified veterinary technician in New Hampshire. When not at work, Christina is kept busy by her many dogs and cats, and two Sugar Gliders. 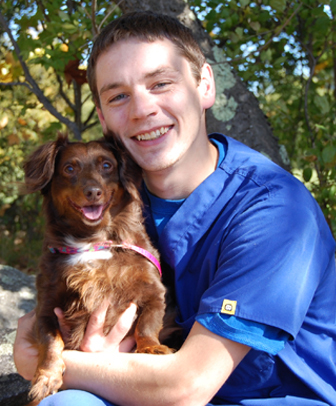 As a veterinary assistant with Derry Animal Hospital since 2011, April’s responsibilities include holding patients during examinations, assisting our doctors and drawing blood. She considers being able to help owners keep their pets happy and healthy the most rewarding part of her job. April attended the University of New Haven and the University of New Hampshire in Manchester, where she studied business. April has a Doberman named Kimber. She spends her time outside work caring for her dogs, gardening, antiquing, sewing and crafting. Alison joined Derry Animal Hospital in August 2017 as our veterinary technician. She assists our veterinarians with surgical procedures, takes radiographs, monitors anesthesia, draws blood, and provides patient education for our clients. One of her favorite parts of being here is helping guide clients to make informed decisions regarding their pet’s healthcare. Alison has a Bachelor’s Degree in Biology and has worked in the animal-related field for over 15 years, one of her previous jobs being in a veterinary emergency clinic. In her free time, Alison loves spending time with family and friends and watching Patriots football. She has two Australian Shepards named Meadow and Odin. 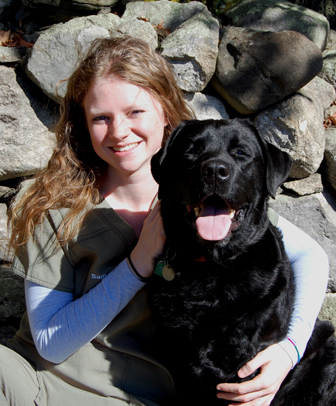 Lily is a full-time Veterinary Technician at Derry Animal Hospital. Some of her daily responsibilities include refilling medications, blood draws, taking radiographs, medication and vaccine administration, and client education. Lily joined the team in March of 2017, and describes Derry Animal Hospital as a “very friendly and amazing place to work.” Lily is currently working towards an associate’s degree in management and a certificate for small business management. When she isn’t working, Lily cares for animals of her own. She has a two Labrador mixes named Katie and Hopi, a love bird named Violet, and a bearded dragon named Tiame. Lily spends her free time knitting, cooking, exercising, and renovating her home. Joining the Derry Animal Hospital team in July of 2017 as one of our incredible Veterinary Technicians, Cheyenne has shown herself to be a hard worker and a great contributor to the positive environment we strive to keep here. Some of Cheyenne’s daily responsibilities include providing a good patient history on for our doctors, preparing medications, providing safe handling of patients, client education, keeping our facilities clean and tidy, and providing disease control. 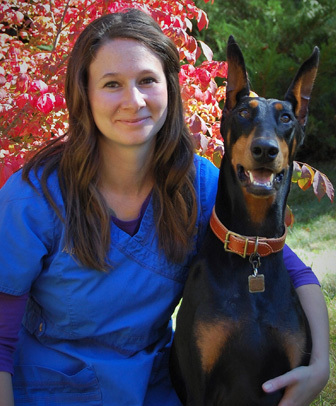 Cheyenne possesses an associate degree in Veterinary Technology and a bachelor’s degree in Pre-Veterinary at Becker College. She is currently enrolled in a master’s program in Business, online at the Florida Institute of Technology. Away from the animal hospital, Cheyenne considers herself to be an adrenaline junkie. She can be found doing activities that involve facing her fears and trying new things. She loves to hike, draw, go fishing, play volleyball and other sports. She has two dogs of her own, a Rottweiler named Thunder and a Dachshund named Little Lady. Cheyenne also owns two bearded dragons and a box turtle. Samantha Lombard is our veterinary technician who joined our team full-time in March 2017. She works alongside our veterinarians, hands out prescribed medicine to our clients, provides any client education necessary, ensures that our patients are comfortable, and assists cleaning the hospital during any downtime. “I love to learn and I enjoy being able to soak up as much experience and knowledge that I can throughout my workday,” she says. One of her favorite parts about working at Derry Animal Hospital is taking care of each patient so their quality of life is as comfortable and healthy as possible. At home, Samantha has two dogs: a 6-year- old black lab named Seguyn and a 1-year- old hound lab mix named Albus. In her free time, Samantha enjoys going outdoors when the weather is nice and hiking with her dogs. She also enjoys kayaking, swimming, and simply being around the water. She enjoys maintaining her flower and vegetable garden. 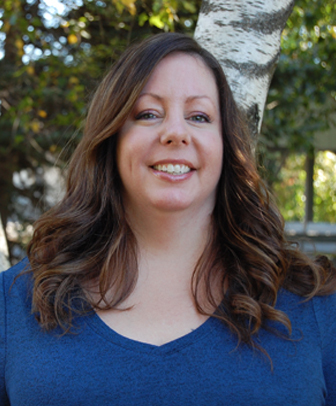 As Derry Animal Hospital’s administrative assistant, Kerri’s duties include handling maintenance issues, managing medical records, greeting clients and ordering supplies and food. She joined the hospital team in September 2007. Kerri cares for two cats at home, Stoli and Tequila. When she isn’t at work, she enjoys boating, fishing, hanging out by the lake, camping and spending time with friends and family. Brandon has a cat named Jarms. When he’s not at work, Brandon enjoys playing video games, watching movies, and spending time outdoors playing baseball, fishing and hockey. Beginning here at Derry Animal Hospital in May of 2017 as one of our outstanding Receptionists, Michelle has since proven herself to be a vital member of our team. She offers over 20 years of related experience in the animal field. Michelle is responsible for answering phones, booking appointments, checking and responding to clients, checking patients and clients in and out of our facility and much more. 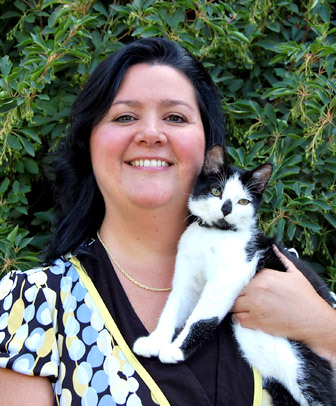 Each day, Michelle offers an outgoing and friendly approach to interacting with our clients and their pet companions. At home, Michelle enjoys spending her free time reading and practicing gardening. She owns one canine, a spayed female named Jewel, and a neutered feline named Bob. Wendy joined Derry Animal Hospital in September 2006. Drawn to her profession because of the time she can spend with animals, Wendy’s duties include bathing, clipping and all other grooming needs. She is a member of New England Pet Grooming Professionals. 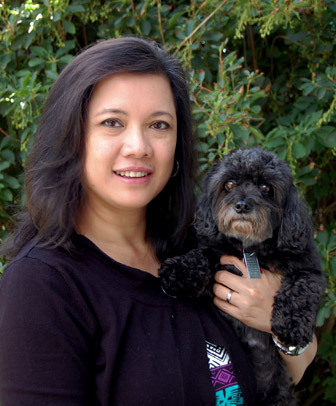 At home, Wendy cares for three dogs— Bella, Charlie and Chester—and two cats named Oreo and Stella. She enjoys spending her free time with her children and pets, hiking and cooking. 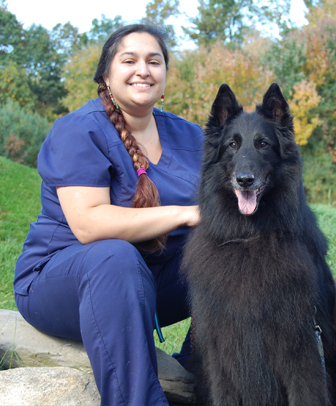 Esperanza has been a part of the Derry Animal Hospital team since February 2009. As our bookkeeper, she maintains the accounting books, handles financial reporting and bank, credit card and account reconciliations and assists accountants with year-end tasks. At home, Esperanza has a dog named Truffles. She enjoys watching her children play hockey, taking leisurely drives, walking and hiking, baking, reading, exercising and visiting her son in Canada.